Lots of crazy news is happening at the moment with CES in full swing, but there are a few choice bits of information that we really like to hear. Possibly the one of the biggest bits of news we’ve heard so far is that our very own Telus is going to be launching the Samsung Galaxy Note (5.3 inch Super AMOLED screen with its very own special S-Pen, dual core 1.5ghz processor, 1gb of ram) as well as they’ll be finally matching Rogers and Bell by launching their very own LTE network. The Note itself is supposed to bridge the gap between Smartphones and Tablets and we’re very eager to get some hands on time with this device, but the fact that Telus will be launching LTE as well just makes this news even sweeter. 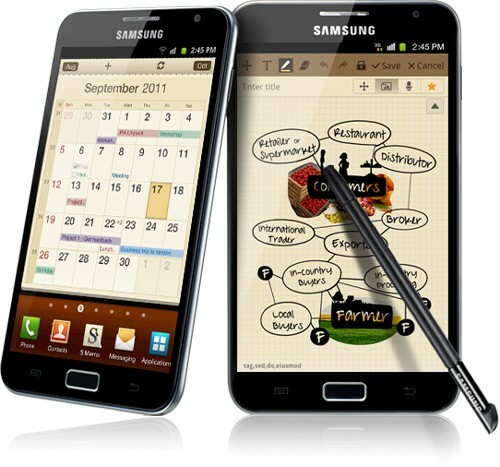 Who’s going to be holding out on getting the Galaxy Nexus (that Telus is releasing this coming Friday) for a Galaxy Note? Take a look at one of Samsung’s commercials for the Note below.